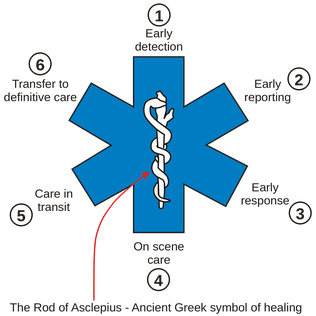 The Star of Life is a blue, six pointed star, outlined with a white border which features the rod of Asclepius in the center. This star was originally designed by the U.S. National Highway Traffic Safety Administration. Not just in the United States, but around the world, this star represents emergency medical service units and personnel. The six branches of the star are symbols of the six main important tasks that are professionally executed by rescuers all through the emergency chain. Below shows a diagram, and an explanation for each branch. 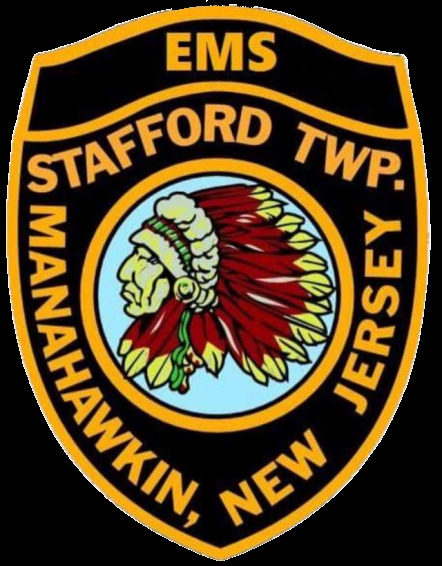 For more information, CLICK HERE to view the official NJ State Star of Life manual.